Tobacco kills. So does hormonal birth control. So why can Planned Parenthood freely market birth control products while Philip Morris must comply with an increasing array of restrictions? Fifty years ago, people wouldn’t believe that their cigarettes were lethal. Many people smoked, especially highly visible public figures and celebrities. Today’s society widely understands the negative health effects of smoking, even on nonsmokers. Lawsuits were instrumental in heightening social awareness about tobacco and they can have the same effect for hormonal birth control. Birth control companies must be sued to protect women’s health. Hormonal birth control drugs are well-known causes of breast, cervical and liver cancer. The hormones increase the risk of breast cancer 20 to 30 percent, for up to 10 years after the woman stops taking the medication. Recently British researchers tried to debunk the cancer risk, but went on to show that taking hormonal birth control for over eight years does increase the risk of cancer. The International Agency on Cancer Research found that the risk of cervical cancer increases by more than 50 percent after five years of birth control use and that the risk doubles after 10 years of use. Blood clots are another common risk of hormonal birth control and these can lead to deep vein thrombosis, heart attack or stroke. Studies generally agree that hormonal birth control users face a blood clot risk three to six times greater than that of women not using birth control drugs. Furthermore, the risk for smokers and women over 35 is significantly greater. Finally, birth control drugs that contain desogestrel (“third-generation” pills) double the risk of blood clots, on top of the increased risk associated with other hormonal birth control methods. What many women may not know is that hormonal birth control also harms their bones. A Women’s Health Initiative study concluded that there is a statistically significant increased risk of fractures among birth control users. Furthermore, a 2007 study of female military cadets found that hormonal contraceptives negatively impact skeletal formation. These same studies point out that peak bone density is reached by age 25, so the birth control risk is acute among young women whose bones are still forming. In addition, hormonal birth control is taking its toll on our environment. While tobacco has secondhand effects on nonsmokers and air quality, the hormones in birth control drugs pollute the water supply, thereby mutating the gender of fish. A University of Colorado study funded by the Environmental Protection Agency stated that out of 123 randomly netted fish, 101 were female, only 12 were male, and 10 had both male and female features. Researchers at the University of Pittsburgh Cancer Institute’s Center for Environmental Ecology found similar evidence. Dr. Conrad Volz, who led the study, said, “Increased estrongenic active substances in the water are changing males so that they are indistinguishable from females.” The state of Washington’s Puget Sound Action Team discovered the same alarming trend. So the synthetic steroids in birth control drugs run through women’s bodies into the sewage system and out into the world’s waterways. Since most water treatment plants do not filter these contaminants, nothing protects the water supply. Considering the effects on fish, what is water polluted by hormonal birth control doing to people? Birth control drugs create two primary targets for lawsuits: manufacturers and healthcare providers. The risks and side effects of hormonal birth control open up both of these groups to potential liability. Manufacturers bear liability for their products when they fail to warn consumers about the product’s hidden risks. Standards vary among the states, but plaintiffs typically prevail by showing that the manufacturer knew (or should have known) about the risk and did not warn the plaintiff. The plaintiff’s injury from the product must also be within the undisclosed risk category. Healthcare providers can also be liable for injuries to a patient from a drug they prescribed. Providers must obtain the informed consent of a patient for any treatment or medication. The provider must fully explain the medication to the patient. Failure to properly explain the risks of a drug can render the provider liable if the drug harms the patient. Both of these types of suits depend on a variety of factors. Laws vary by state. Also, the specific injuries caused by hormonal birth control differ among affected patients. However, the key point for this discussion is that women can sue for health detriments caused by birth control. 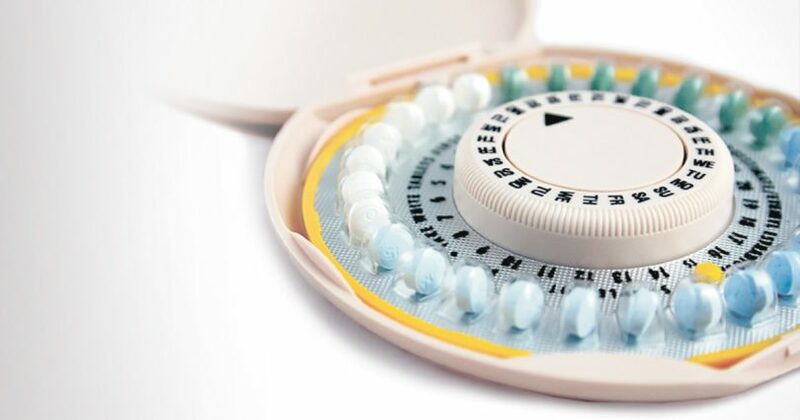 Birth control manufacturers are familiar with lawsuits. In fact, they should be frightened by tort claims. Two examples illustrate this point: Dalkon Shield and Ortho Evra. The A.H. Robins Company started marketing the Dalkon Shield intrauterine device in 1971. After mass reports of spontaneous abortion by women who conceived while using it, the FDA pressured Robins to pull it from the market in 1974. Nevertheless, thousands of lawsuits were filed, including a class action. The lawsuits were so successful that Robins filed for bankruptcy in 1985. Currently, Ortho-McNeil Pharmaceutical, Inc. is battling waves of lawsuits over its birth control patch, Ortho Evra. The patch contains hormones similar to those in its sister product, Ortho Tri-Cyclen, but the patch’s hormones go into the patient’s bloodstream more quickly. This higher dose of hormones causes an increased risk of blood clots. A dozen women died in 2004 from patch-related blood clots and countless others incurred serious injuries. Lawsuits are still being filed to hold Ortho-McNeil accountable. If you have suffered an injury that might be linked to hormonal birth control, you should contact an attorney. Your potential claim might expire with the passage of time, so be vigilant. Perhaps more significantly, awareness is vitally important. Women and young girls simply do not understand the harm that these “liberating” drugs can do to their bodies. They do not comprehend their legal rights. To find out more about the risks of specific birth control products, consult brochures available from American Life League. Spread the message that entities such as Ortho-McNeil and Planned Parenthood can be taken to court for harm to women caused by birth control drugs. Spread the message to help save lives. Andrew Flusche is the former staff attorney for American Life League. Last day to speak up!